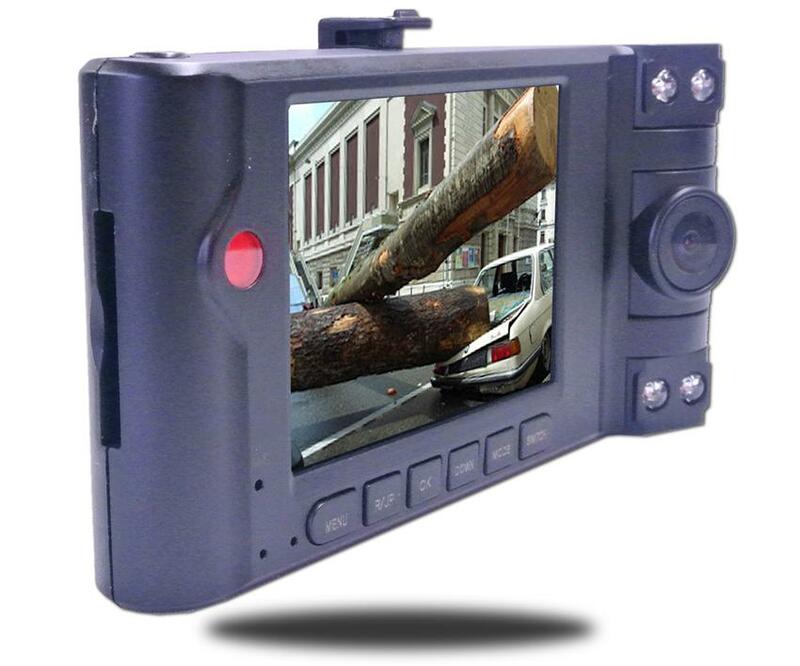 This Dash Camera has two HD cameras (1920 x 720P), one for behind you and one for the front. You can of course swivel the cameras anywhere you want. The system actually speaks to you when you press the buttons so you can safely hear what you are pressing without looking. It can also continusly charge while recording so you are never without your camera. This dash cam also has easy to access buttons and an easily movable camera.